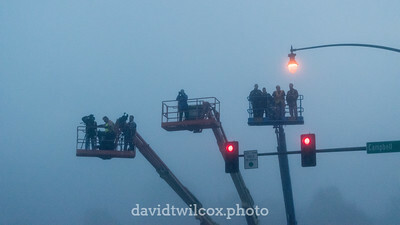 Videographers and photographers from local Springfield, Missouri, television stations and newspapers record the starting line of the 2015 Bass Pro Conservation Marathon and Cohick Half Marathon from lift trucks. 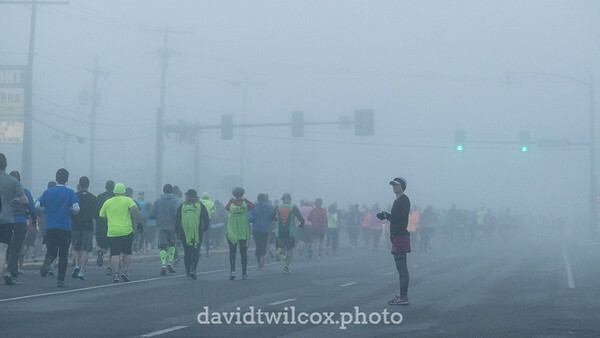 The 2015 Bass Pro Conservation Marathon and Cohick Half Marathon started in dense early morning fog, with barely a quarter mile visibility. That didn't prevent a large turnout of both participants and spectators. 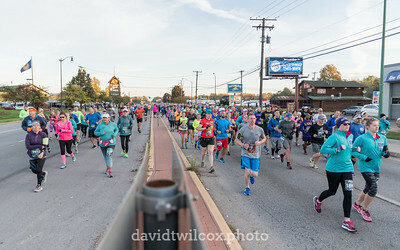 Runner Victoria Williams waits to the side of the pack before joining back in the 2015 Bass Pro Conservation Marathon and Cohick Half Marathon. 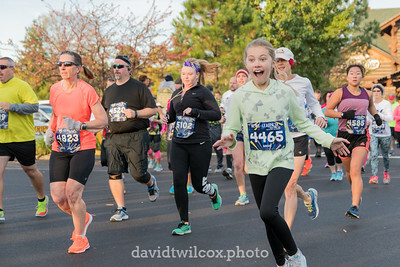 An enthusiastic young runner leads the pack of runners in the News-Leader 5K. 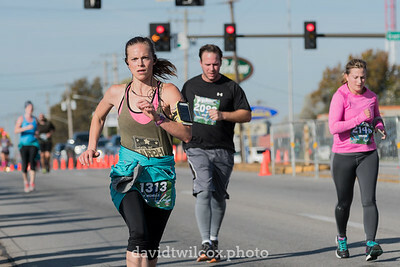 The 5K race is part of the Bass Pro Outdoor Fitness Festival marathon weekend and starts 30 minutes after the marathon and half marathon runners start their races. 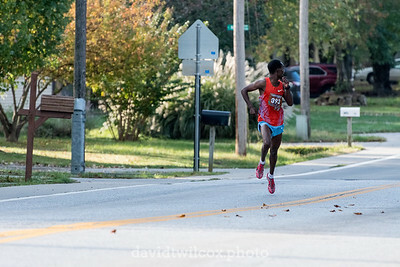 Antony Mugo checks behind himself for other runners while leading the marathon at the 10 mile marker. Although he lead the marathon for most of the race, he fell back near the 25 mile marker and came in 2nd place by 12 seconds. Captain Toby Angove of the All Guard Marathon Team passes the halfway mark of the Bass Pro Conservation Marathon. 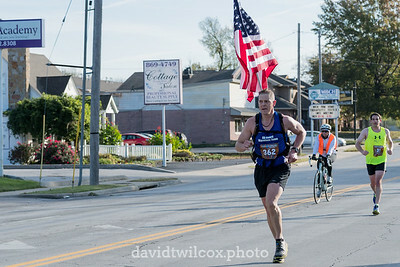 He carried the flag all 26.2 miles of the race. 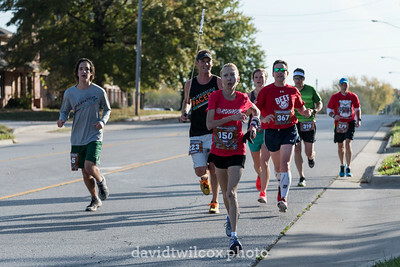 Trina Wilcox runs just ahead of the 3:30 marathon pace group as they pass the 13 mile mark of the Bass Pro Conservation Marathon. She went on to finish a personal best time to take first female masters and qualify for the Boston Marathon. With a final determined push, Michelle Rador sprints the last tenth of a mile to the finish of the Cohick half marathon.